Discussion in 'Movies' started by Barbara Fan, Feb 7, 2017. 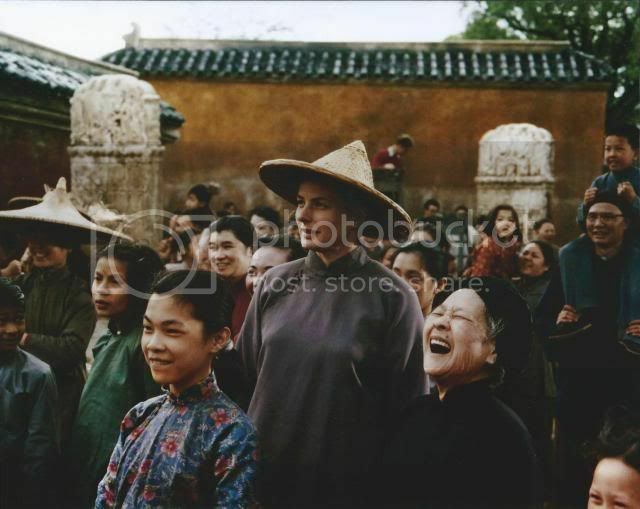 After BBG she was my favourite actress and since i was 6 years old and watched the Inn of the 6th happiness. 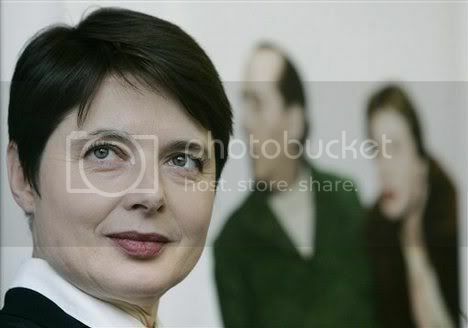 She had a star quality and it shone though, even when she was dying of breast cancer she looked serene and beautiful. 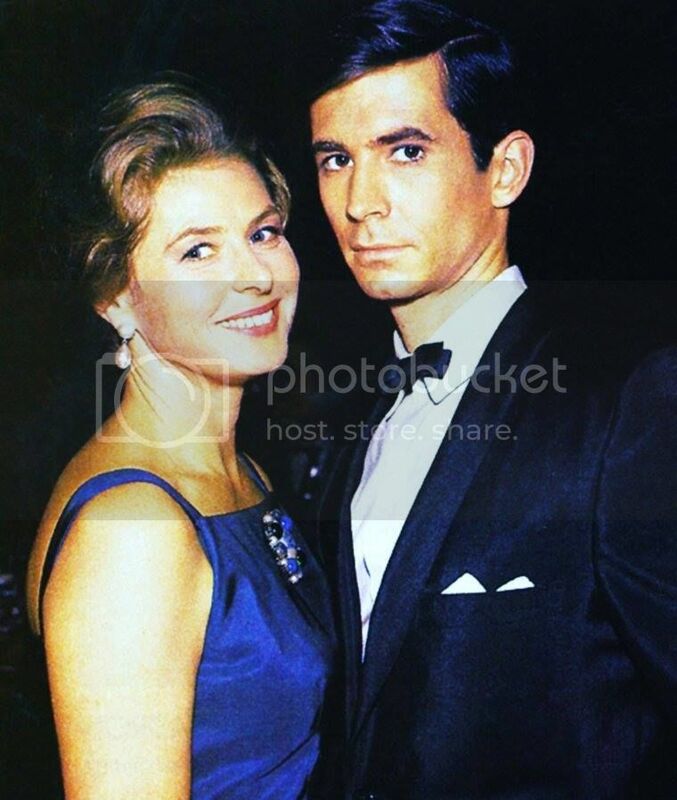 She had an exciting and often sad life, she wa sorphaned by the time she was 12, she caused one of the great Hollywood scandals of the 20th century by falling in love with another man and having his child when still married to her brain surgeon husband. She is one of the few actresses who have acted in 5 different languages and she acted with some of the best actors and directors of their day. She also won 3 Oscars. 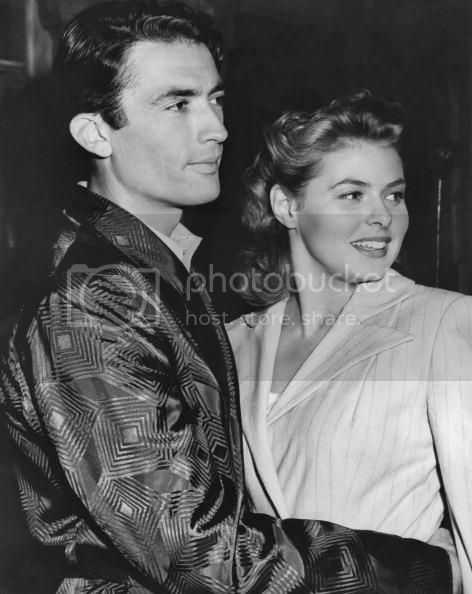 and her children today, and just how HOT was Gregory Peck?? I'm really glad to see you've brought back this thread BF. 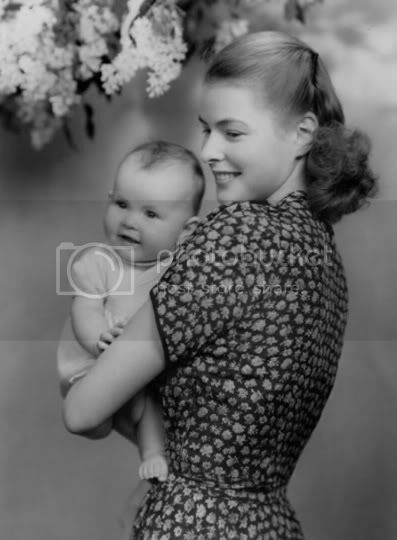 Ingrid Bergman was my paternal grandma's favorite actress. After she passed I got a book about IB that used to belong to her and I read it. 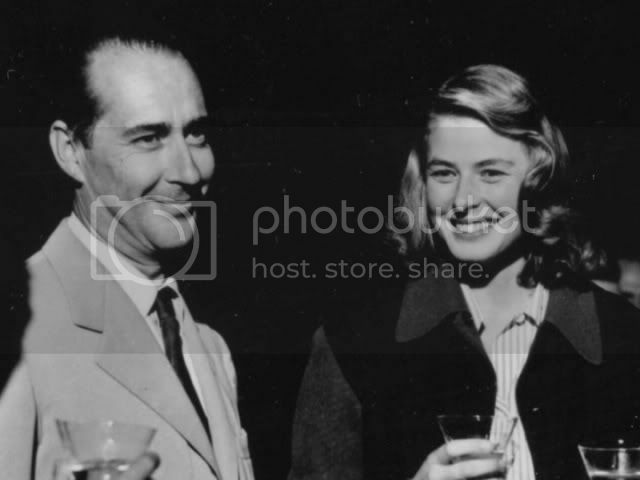 Ingrid Bergman sure had a fascinating lifestory. 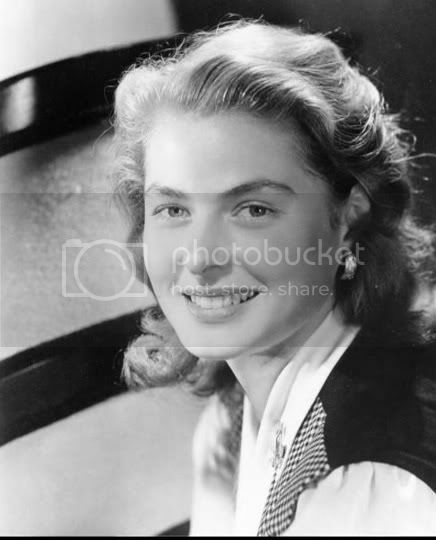 The last Ingrid Bergman movie I watched was "Höstsonaten" it was really great. Thanks for the photos BF. Yeah I agree it was a great film. I loved the 70's realism, fly on the wall kind of vibe to it. 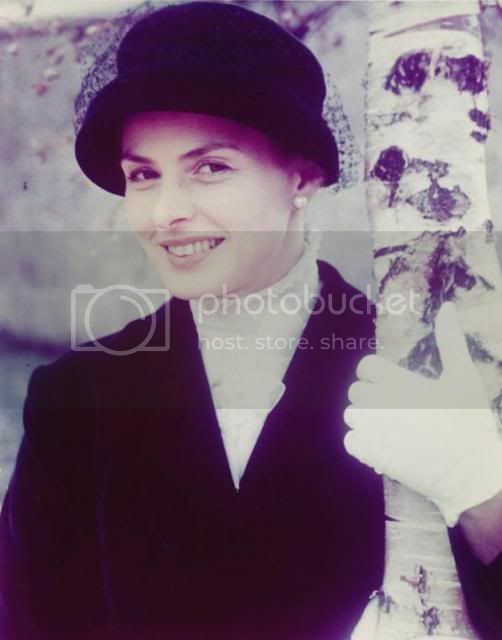 Also I watched some extra material where Ingmar Bergman was interviewed a few years before he died about working with Ingrid and he said she'd arrived on the set really well prepared and with an idea of how she wanted to portray the character and she was doing it all wrong according to his vision. 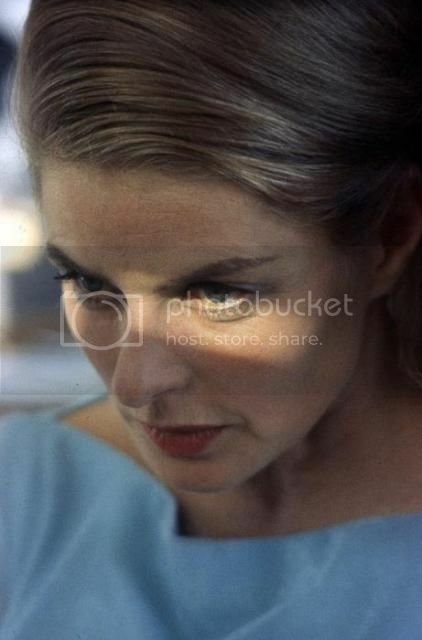 So he had to peel off the layers that Ingrid had prepared and then get to the core of her acting to get what he wanted on film. But yeah he got Ingrid to follow his advice and the result of their collaboration is of course what you can see in the movie. It was a really interesting interview. Love the one in the snow. 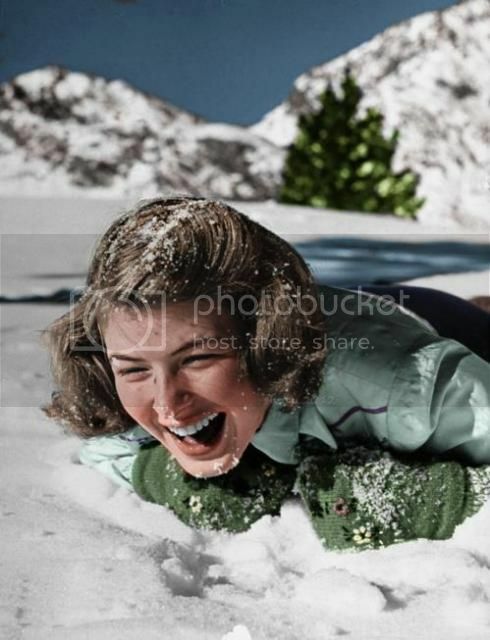 She is so photogenic @Karin Schill Dont ever think Ive seen a bad photo! 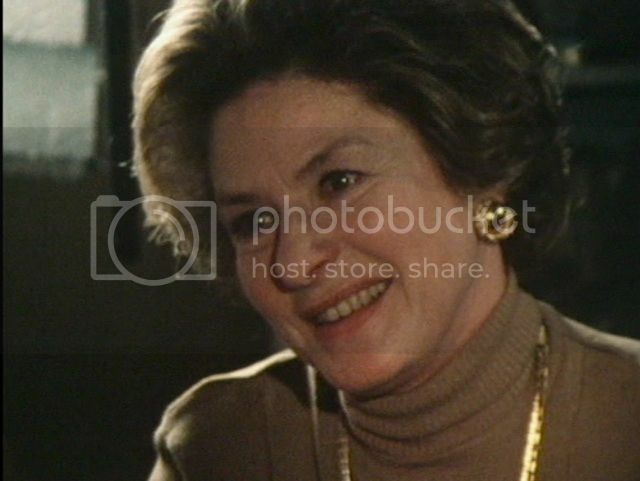 On this photo Ingrid Bergman as Golda Meir. On this photo the grave of Golda Meir in Jerusalem. Golda's grave is on a windswept hill in the military cemetery. There, Bergman, a quick study, placed small stones at the grave site - she had learned Jews do this to signify the loss of the beloved being like "a stone in my heart." She stood, the wind whipping strands of ash hair across her handsome face. Her eyes filled with tears, and she whispered in her husky voice, "I don't want to portray you, because I don't want to harm you." For some time, Paramount had been on the hunt for a name actress to portray Golda. 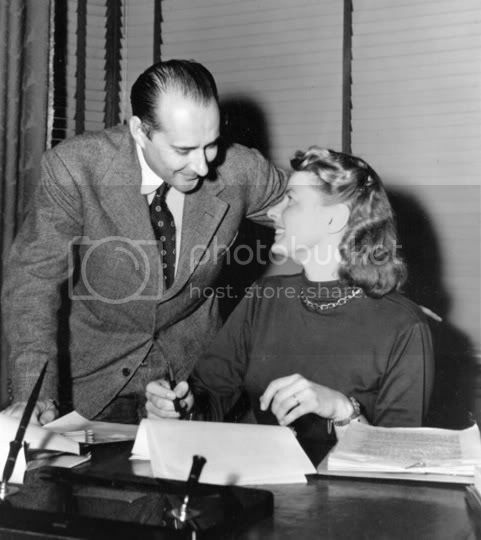 I was associate producer on the project, and I knew Bergman had already in fact officially turned down the role. But I also knew I would soon see Bergman in London, and I was obliged to try again. 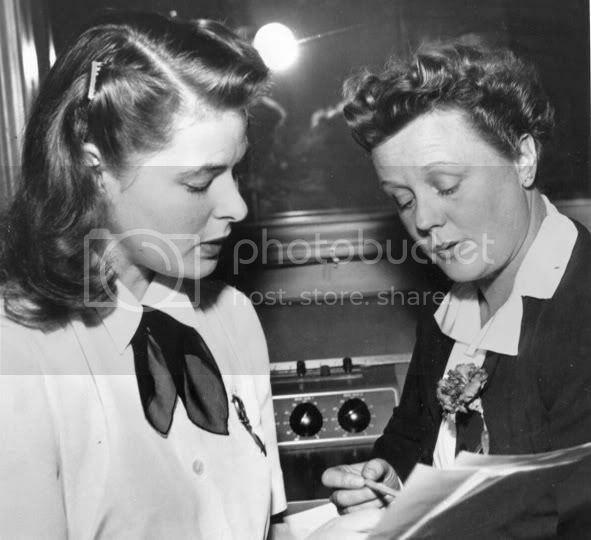 Ingrid was being honored for her good works by the Variety Club. 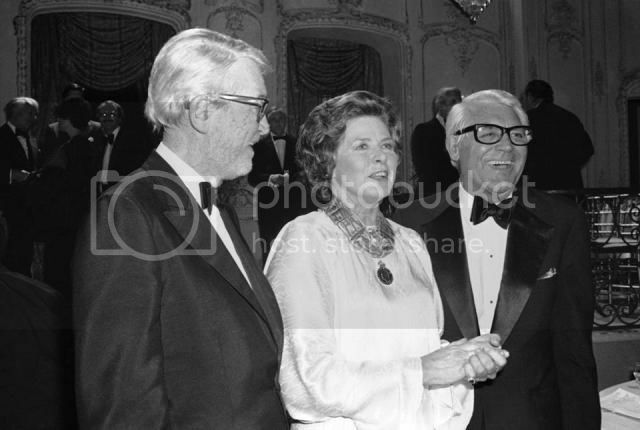 It was May 1981 - a glittering charity ball at the Grosvenor House Hotel. I sat next to her at the head table, and we spoke all night. At first it was an exchange of questions and answers about Golda. But this led to a gradual unfolding of parallel lives. I could sense Bergman's frisson with each revelation of what the two women had in common, the most compelling being their medical histories. Golda had lymphoma for 12 years and Bergman, who was then 66, had been battling breast cancer for six. They both felt guilt about leaving their children to pursue careers. Both were hounded by the press, which dogged their every move. And both had an extraordinary idiosyncrasy of rubbing a teakettle until it shone like a mirror. As the evening progressed, Bergman, at first aloof and mildly interested, gradually became vulnerable, her protests less convincing. 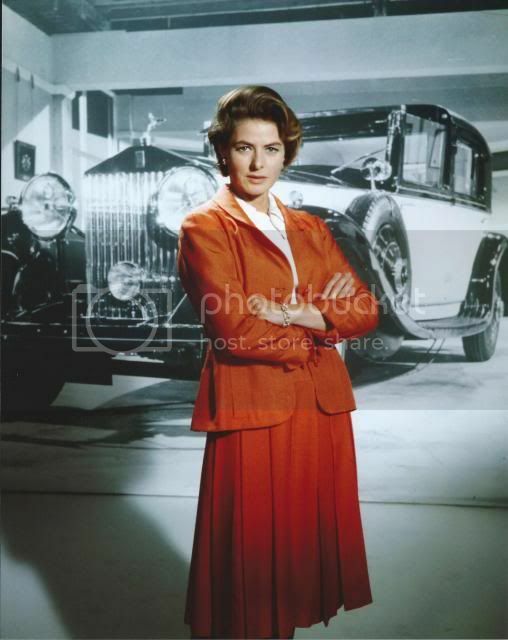 Ingrid Bergman won an Emmy and Golden Globe for playing Israeli Prime Minister Golda Meir, who served in the ‘60s and ‘70s, in the 1982 TV movie A Woman Called Golda. 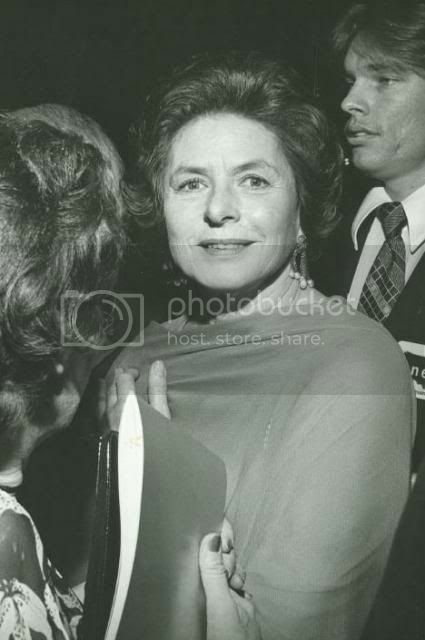 I left her that night by saying that nothing would honor the memory of Golda Meir more than if Ingrid Bergman portrayed her. She called me the next day. "I'd like to have a screen test," she said. And so, the journey began. 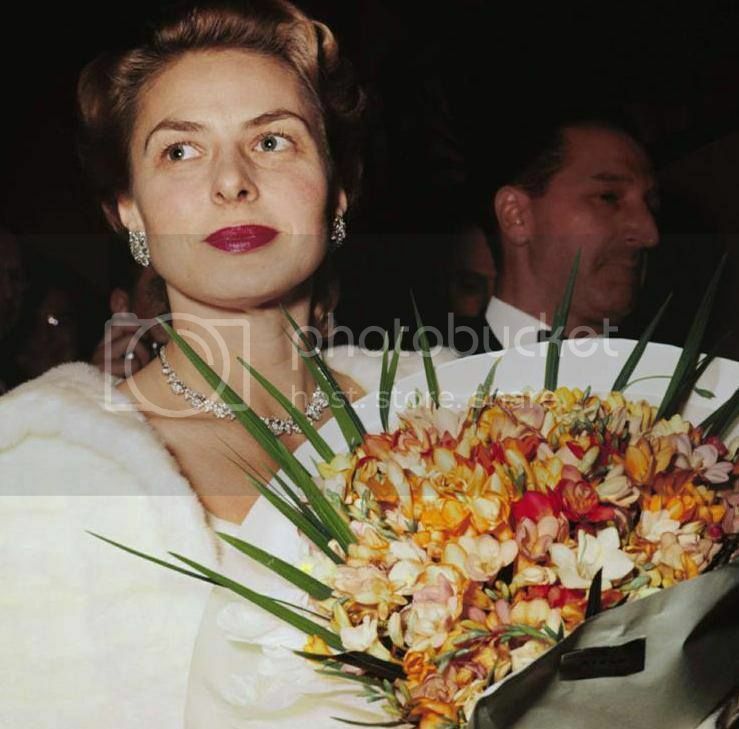 It was a Friday, late August - hot and humid, redolent with jasmine and orange blossoms - when Ingrid Bergman touched down on El Al's last flight before Shabbat. The cavernous terminal echoed with the week's last stragglers. A handful of people waited, leaning over the barrier onto the passageway. Some were carrying flowers - irises and carnations, and tulips, wrapped in clear, rigid plastic. 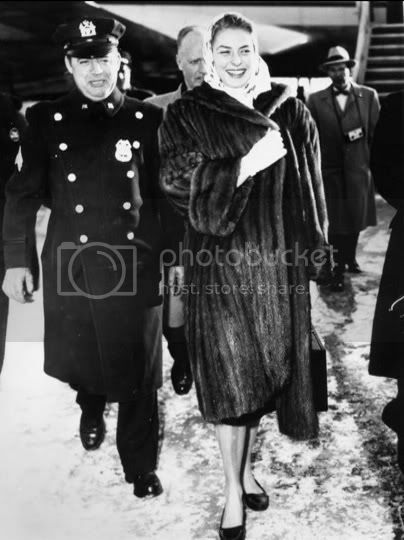 Bergman strode into the airport in a navy and white polka-dot dress. Even through the puffiness of her face, she was game to greet admirers. I shook my head. 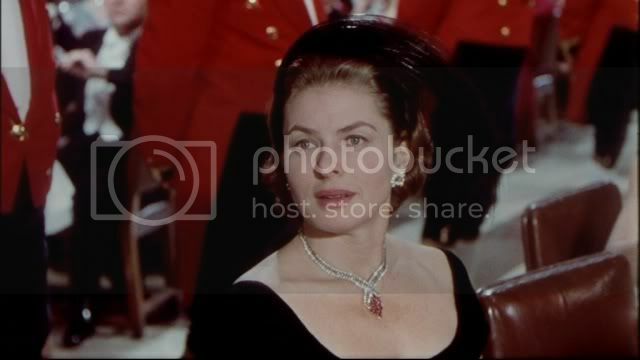 How was this tawny-haired Swede with those aristocratic angles ever going to portray the short, ample Mother of Israel? 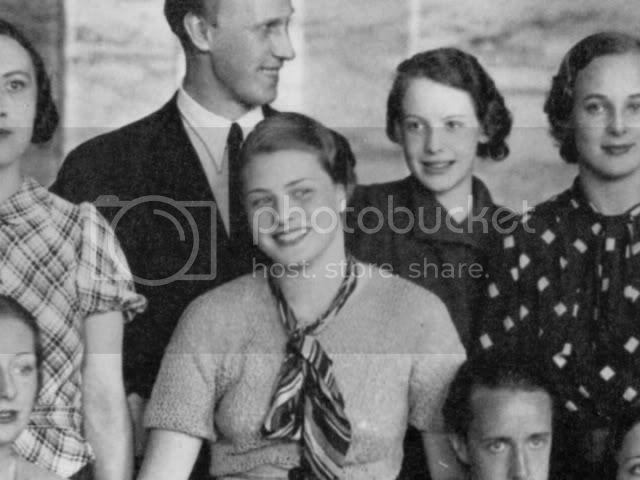 Margaret, Bergman's assistant, stayed close to her, carrying a mysterious device sheathed in khaki. 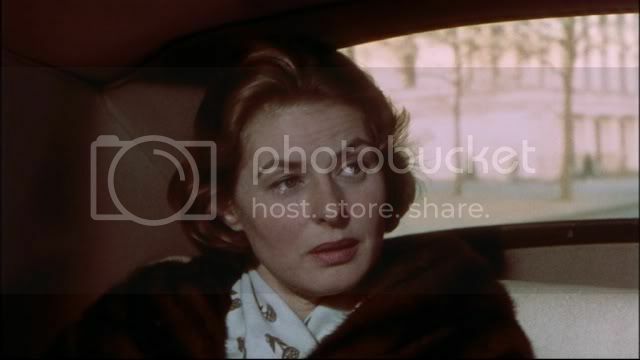 Still from a "A Woman Called Golda"
Bergman wasted no time on her strategy for that Sunday. She wanted to see archives, films, cassettes - anything that documented Golda. Even though most of it was in Hebrew, Bergman had to see it. She was particularly anxious to hear Golda's laugh. And so we went to Jerusalem, to Israeli TV to see documentaries, to the Rad archives on Mount Scopus, to Herzliya Studios to replay "This Is Your Life," a three-hour documentary that featured everyone who had ever touched Golda's life. Ingrid watched Golda's gestures, her hands, her walk, her endless smoking - the latter came easily to Bergman. Yom Kippur approached, two days when, at least back then, the country all but closed down. The cast and crew frantically bought food and liquor for what they saw as "the siege." On the Day of Atonement, Bergman turned to me. "Would you take me to synagogue?" she asked. I met her in the lobby of the hotel. She had on her flat shoes and a scarf around her head. She looked at me sharply. "Where's your head covering?" she asked. "I'll wait, so go up and get a scarf!" She had already re-invented herself as an observant Jewish woman. Stills from a "A Woman Called Golda"
An earnest chazzan was well into the liturgy when we arrived at shul. Finding two seats, I handed Bergman a prayer book with an English transliteration. She read the list of sins carefully, then ruffled through different prayers. Suddenly I felt a sharp nudge. 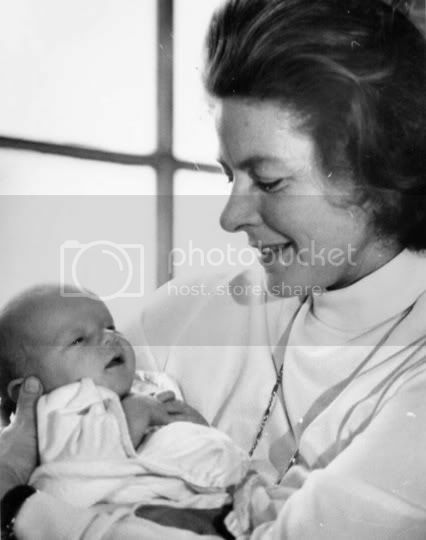 Bergman pointed to a line from the daily morning service: Thank you, God, for not letting me be born a woman. "What," she whispered, "is that all about?" I think at that point we lost a convert. In 1974, Bergman had a mastectomy. Since then the cancer had returned, it was slowly devastating her body. 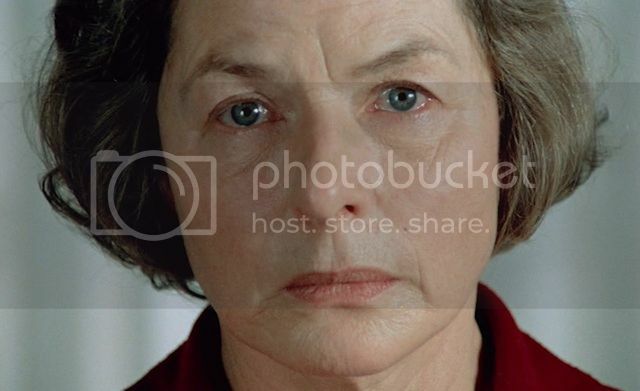 She knew this film would be her last hurrah. The lymph nodes, compromised by the surgery, resulted in a swollen right arm and hand, totally out of proportion with her body. The device her assistant Margaret kept close by, I eventually learned, was an IV stand that was used as an elevated sling. 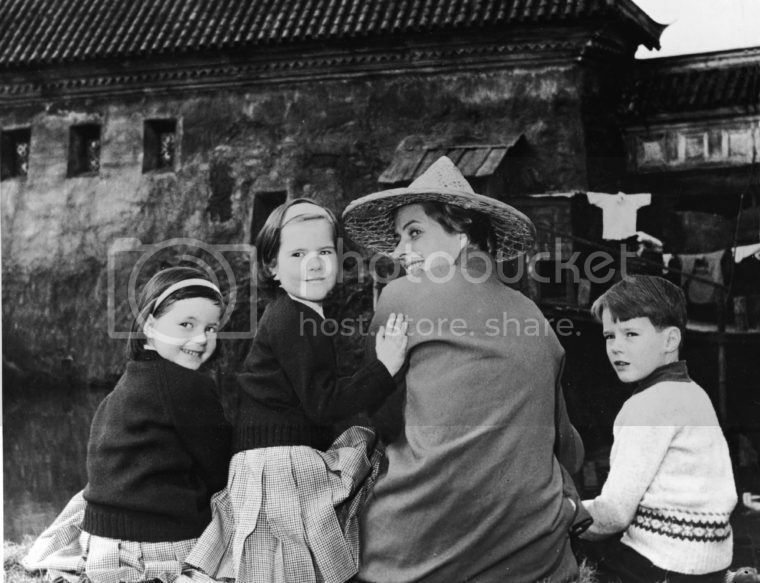 Bergman trussed up her arm to it every night, and by day during break periods in her trailer. Therapeutically, it prevented the fluids of the lymph system from being retained in her arm and hand. Bergman was determined not to use a double for close-ups of Golda's hands, especially when we recreated the historic scene of Golda covering her face and head with her hands, when, in the Knesset, she is elected leader of the Labor Party and prime minister of Israel. Despite her evident suffering, Bergman rarely complained - except about the press. "What are we - monkeys in a zoo?" she screamed as they started pushing up against her black limo. Another annoyance was how to outwit the kashrut from room service, which forbade milk and meat being delivered in the same meal. Bergman soon figured out a solution: she had Margaret order meat from her room and Bergman ordered a milk meal from hers. They met in the middle and had a non-kosher meal. It was apparent Bergman was falling in love with Golda, was becoming Golda. She went to visit Moshe Dayan at his home in Zahala. The war hero spoke of Jewish history and Jewish dreams. Bergman was enthralled by this warrior, who appeared from the shadows of his garden. He was a frail figure, but as he spoke, he became the fiery orator of old. One of his last public photos was with her. "It's so important we're doing this picture," she told me then, "so important to tell the world the story of Israel and how Golda stood for peace." Committed to her craft, to her character, Bergman soldiered on. To this day I do not know where she found the strength. Perhaps it was that, like Golda, she was under the shadow of death, functioning with a full career all the while suffering with cancer. Both women took chemotherapy in secret. 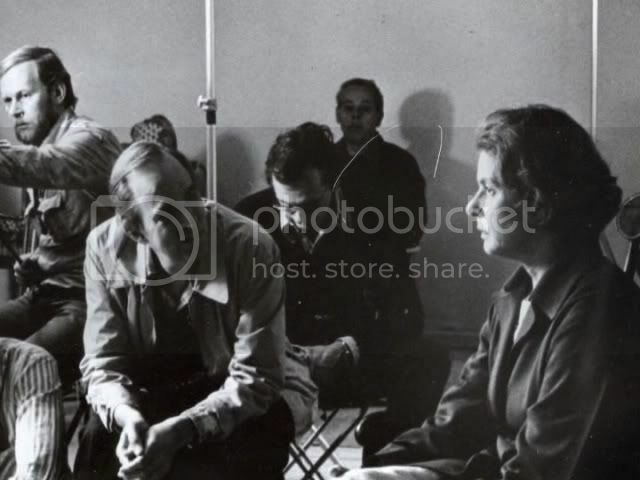 In the movie, where Bergman as Golda is seen being smuggled into the hospital by a back entrance, the awful irony was that Bergman herself, unknown to the public, was being treated at Tel Hashomer Hospital with chemotherapy. Bergman only missed a half day of the shooting schedule. Golda attended cabinet meetings up to the end. In the final scene of the schedule, shot in London, Bergman kept blowing her lines, which surprised everyone. After a few more unsuccessful shots, she let out a sigh. "I can't get it right," she said, "because I don't want it to end." Bergman died in 1982 at age 67. 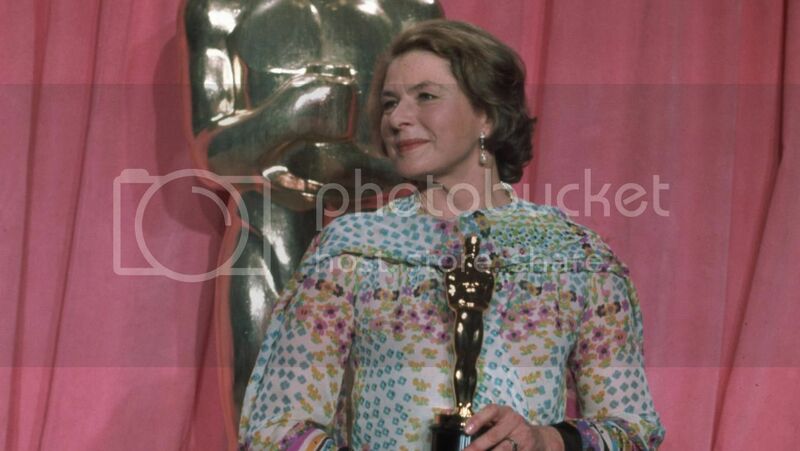 That same year, she received her second Emmy Award for best actress, posthumously, for her work in "A Woman Called Golda." Marilyn Hall is executive producer of "The Little Traitor," based on the book, "Panther in the Basement," by Amos Oz and starring Alfred Molina. 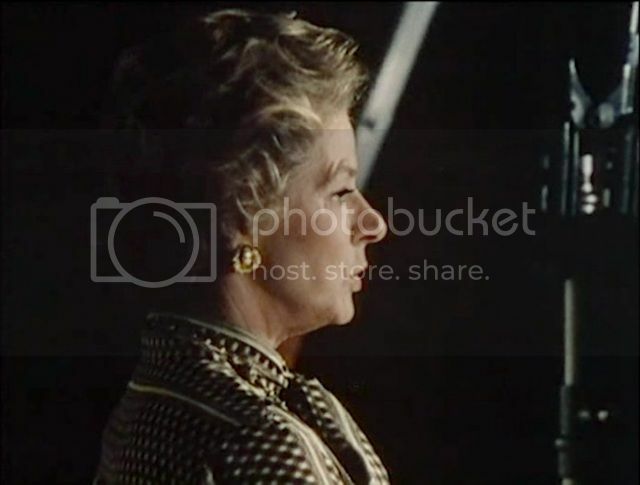 Ingrid Bergman during filming of "A woman called Golda", by Allan Gibson. 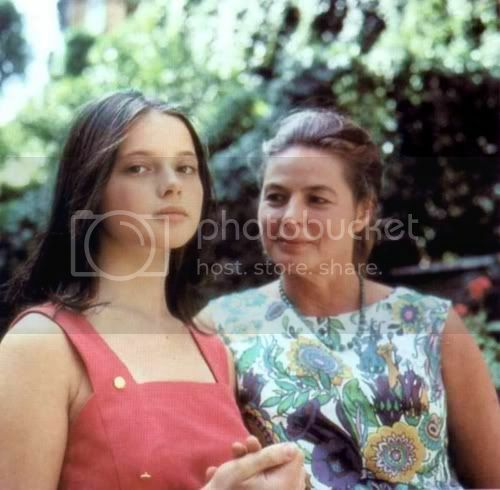 1981.
on the set of "A Woman Called Golda"
Scene photo in Tel Aviv from "A Woman Called Golda"
her daughter Pia collected it in Miss Bergman's name. 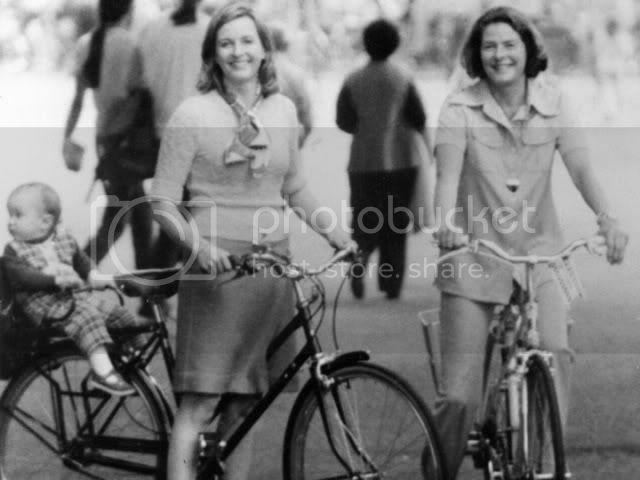 Great photos of Ingrid with her children. terminally ill but acting right up to the end as Golda Meir she managed to make a tall gracious Lutheran swede look like the former Jewish PM with just a wig. 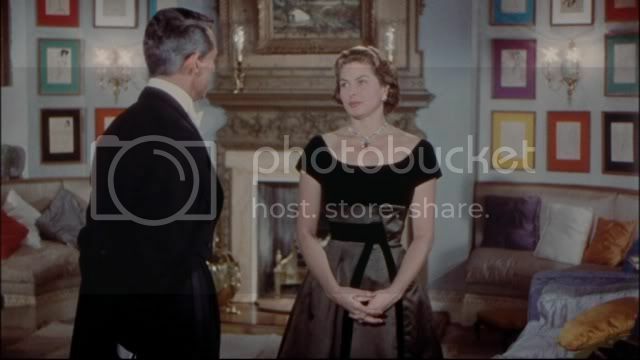 Some of my Ingrid caps from Gaslight, Casablanca and Indiscreet. Thanks for the caps. 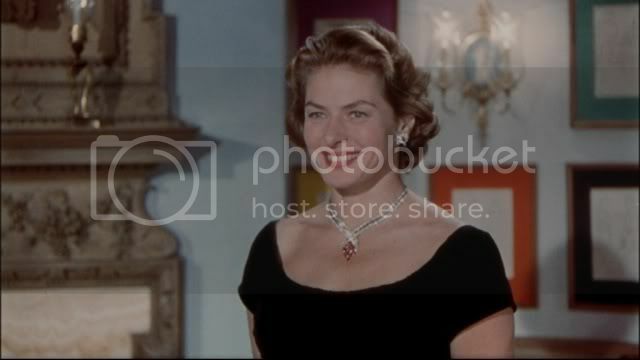 I watched an Ingrid Bergman movie a couple of weeks ago. It was Anastasia and I really enjoyed it. 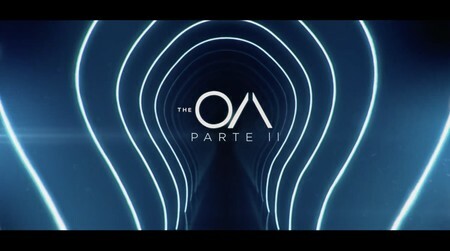 So well I thought I'd share some thoughts about the film with you all. First off I love how they used her diaries and old letters and homemovies in her movie. It really made her life story come to life with her own words and her own footage. The home movies in particular were gold and it strikes me how happy she and her children looked in pretty much all the movies. I am sure that was deliberate, as if there were ever any bad moments on film they didn't select them for the movie. 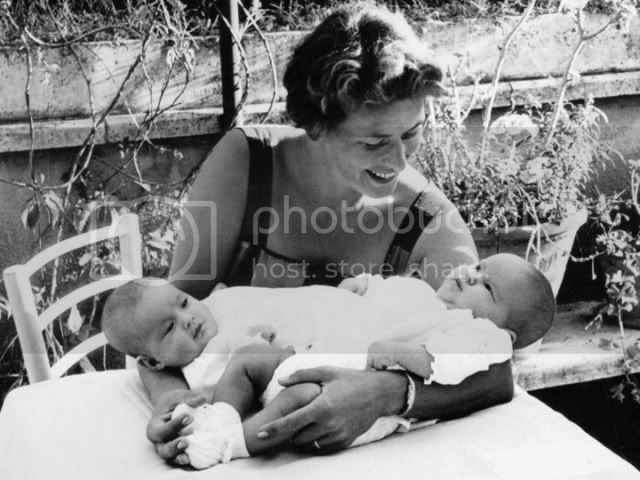 Not sure if there really were though as they seemed to be having a smile on their faces for the camera at all occasions, even when Isabella was taken to the hospital with Scolious there she was smiling at the camera! I also love how the movie caught your attention from the very opening moment where you are confronted with the thoughts of a young girl and her pain and desperate prayers to God to make her dad well. Maybe the reason God took her parents so early was so she could spread her wings and fly. Since I guess it's easier to leave your native country if it doesn't mean leaving your parents behind. 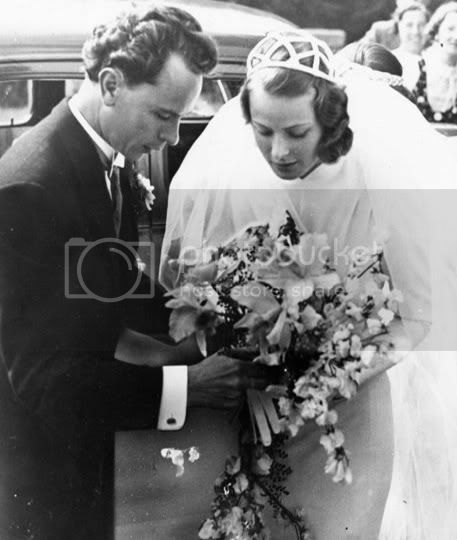 Not that it would be any eaiser to leave a child or a husband I imagine and yet Ingrid did precisely that, even though of course they were to follow her later on so maybe the knowledge that they would be reunited in the USA made it easier for her. I've read the book about her life before but it's been some 10 years ago so I don't remember the details all that well. But I do remember how she in the book had moments of deep despair which were in stark contrast to the film that had a very positive vibe to it. I was surprised at how much she seemed to actually love her first husband. I can see why the public turned against her when she left her husband and Pia since it did seem like she had it all and yet she wanted more. Yet to do those choices she did takes strenghts and guts and I admire the way she followed her heart and kept being true to herself despite what other people thought. Her ability to start over so many times and it was impressive to see her act in Swedish, English, German, French and Italian in the film. She really mastered all those languages. I also loved how she kept writing letters to her close friends to keep in touch, saved all her school work, filmed a bunch of homemovies and kept a diary for many years. I can identify with those aspect of her life, as I've done pretty much the same. I can of course also identify with her Swedishness...hearing her talk in her native language do get to me since it's my language too so it makes perfect sense to me what she is saying. Over all I can see why this documentary got a standing ovation in Cannes and if you haven't watched it yet I can highly recommend it to you.